Many cases of gold smuggling had been reported from the airport here in the past. 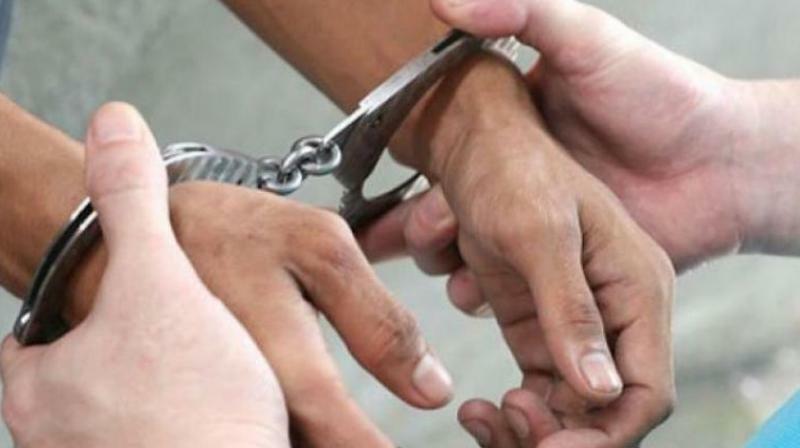 Thiruvananthapuram: The Directorate of Revenue Intelligence arrested an employee of AISATS, the ground cargo handling agency of the airport here, for aiding gold smugglers on Thursday. Two smugglers were caught when they were handing over 5.5 kg of gold to the employee identified as Muhammed Shiyas, said DRI officers. Shiyas had committed similar crimes earlier as well. A passenger, Ahmed Chengala, was nabbed for attempting to smuggle in gold worth Rs 9 lakh by concealing it inside his body in March. Another was arrested by the DRI for trying to smuggle in 1.4 kg of gold worth Rs 45 lakh inside an iron box in January. He was identified as Sudeesh Mohan, 30, of Geetha Bhavan, Thurvikkal of Akkulam, who came by the Air Arabia flight from Sharjah. The Air Customs Intelligence unit seized over two kg of gold being smuggled in an Emirates flight from Dubai in December last. He was identified as Muhammed Shuhaib, 22, of Poonthura.